Mimesys, whose core focus has always been about creating holographic representations of humans for virtual and augmented reality, has released a video showing off their holographic communication platform in action. 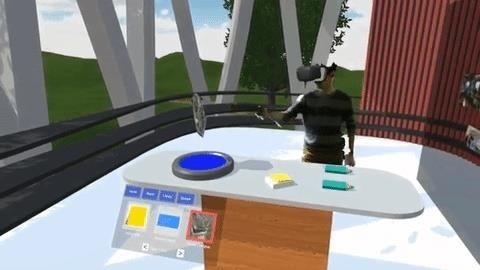 This new communication tool uses a combination of virtual reality, with the HTC Vive and a Kinect, and mixed reality, with the HoloLens, to allow the users to have virtual meetings from anywhere in the world as though they are in the same room. Holoportation—a word that entered the tech world vernacular last year— is a virtual form of connecting people together and allowing them to interact as though they were in the same location. The benefit to this, over verbal communication, or even video-based communication, is the ability to read body language. This is a major part of human communication and something that is often missing from all current forms of interaction other than face-to-face conversations. While face-to-face communication is often the preferred method, it is often not a feasible option when working with people all over the world, as many of us do these days. Personally, I currently work with a large group of people in multiple virtual offices that I have never met in the flesh. While I talk to them constantly in chat rooms, on the phone, or in Skype, I can think of numerous miscommunications that likely would have been avoided with had a meeting been in person or, as presented by Mimesys, through holoportation. In the last 30 years, we have moved away from the linear cubicle-style separate office spaces to the more open floor plans of the '90s and early-'00s. These days, we have further shifted into flexible workspaces, often a combination of offices, open bullpens, and virtual desks. Now, more and more people work out of the office, and working from home is becoming commonplace. The Mimesys system is currently available in the form of an SDK that developers can use to integrate into their own software solutions. It is Unity compatible and comes complete with a Unity sample project. It also uses Sketchlab to offer the ability to record virtual calls. The SDK is currently in beta and can be downloaded from Mimesys website. Can you see yourself conducting productivity meetings in a virtual space in the future? Let us know in the comments. Dramatic movement deep into the uncanny valley in these demos! Love the work! How long till we can get through that scary place?